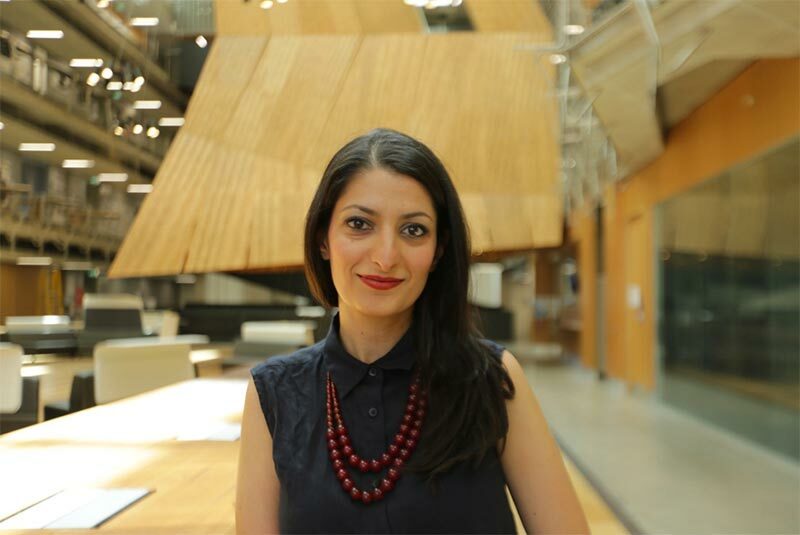 Targol Khorram started studying architecture in Iran in 1998 and completed a Master of Urban Planning in 2015 at the University of Melbourne. She currently works as an urban designer at the City of Stonnington and leads a place making studio at the University of Melbourne. She previously worked on the Queen Victoria Market redevelopment. More recently, she was the President of Architects for Peace for two years. We caught up with Targol to chat about her career journey and Architects for Peace. Being in the Infrastructure and Urban Design team at the City of Stonnington, I am involved in design and delivery of place-making projects and creating public spaces and streetscapes. Most recently, I worked on delivering Prahran’s Greville Street redevelopment project. We started by trialling the idea of replacing some of the car parks with wider footpath, public seating, outdoor dining and more greenery on street. Now that the project is delivered I feel like we are one step closer to reshaping our cities for all and ensuring that iconic places like Greville Street will continue to grow and attract the next generation. With that long-term impact in mind as a practitioner, Architects for Peace has focused on the themes of youth activism and housing in the past couple of years. What prompted the theme choices? Architects for Peace started in Melbourne in 2003 with the belief that professionals in the built environment should have a voice in public debate on issues we care about. When I became President of Architects for Peace, I wanted to re-energise the organisation by holding public events and workshops centred on a particular theme. Last year, the organisation’s committee bounced off the conversation of homelessness by focusing on housing. We held an event at Melbourne Design Week with the topic ‘Design for all? Affordable housing & the right to the city’, which discussed and questioned the value and importance of good design when it comes to affordable housing. We also held talks on public housing and ethical cities. There has been significant interest from design professionals to have conversations on social justice and the right to the city, and highlighted that the industry and our education system right now is missing enough of a conversation day-to-day about these values. What are your hopes for Architects for Peace in 2018? This year I’m continuing as an advisor, rather than as President. What is amazing about the organisation is the diversity of thinking of the people involved. Everybody in the steering committee is from a different place around the world and this shows in the nuance of our events. We had a number of workshops with the steering committee last year to plan our activities and events for 2018 based on our strategic plan which was launched in 2014. Some of the activities locked in for 2018 are a talk at MPavilion – ‘Power to the People: the importance of democratic public spaces’ – which will focus on the history and importance of democratic public spaces in urban environments, examining the necessity of places that are free and open to all members of the public. We have also locked in our second event as part of Melbourne Design Week which will investigate the concept of ‘slow cities’. I hope Architects for Peace will continue to facilitate these important conversations. What prompted you to become involved with Architects for Peace? When I first moved to Melbourne in 2013, I was looking for organisations that I can share their values and volunteer with and I came across Architects for Peace. I attended one of their events and found the conversation and the energy of the team very interesting and in line with the causes that I care about. I started volunteering with AFP, I joined the steering committee the year after and in 2015 I was elected as the President. You had a wide range of experiences prior to starting at your current job. What have you learned about careers and change? I started as a draft person in 2000 in Iran and moved my way to working on design and delivery of a wide variety of projects. I then moved to Italy with the intention to expand my knowledge in architectural engineering, but I became more and more interested in looking at a macro level of the entire city and the interactions with its people and in Australia I gradually moved to urban design and the discussion around spatial justice. These changes helped me to have a better understanding of myself and what I value in my career. I became interested in different aspects of design and different roles that architects can have in society. And in my own experiences, I have learned that the most important thing at the end of the day is to believe in what you are doing and to enjoy it. If you’d like to learn more or to become involved with Architects for Peace please email afp@architectsforpeace.org.